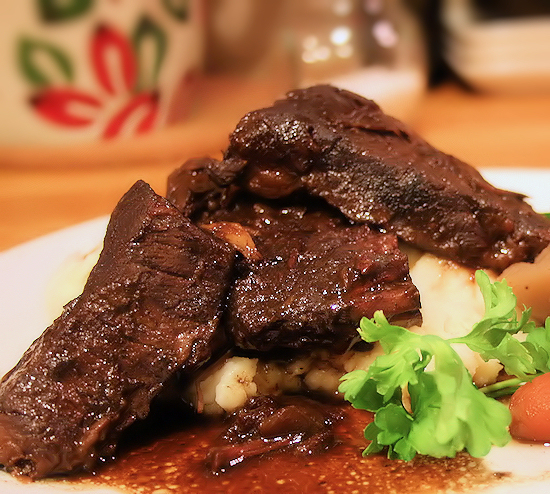 I have seen this done so many times on Food Network and most recently had braised short ribs on a cruise we took. I have always wanted to try it but alas this small town did not have it available until now! Our local supermarket actually received some and I immediately swooped some of them up. OK, truth be told, I bought all 5 packs! Since I am now cooking for 5 people and these come about 3-4 a pack I figured more is better. These came out so tender and delicious. 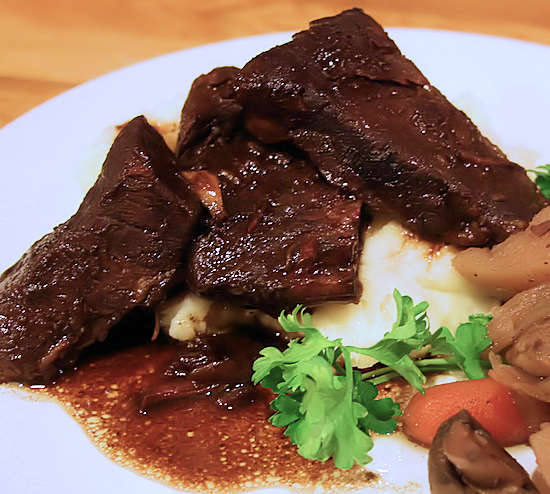 The rich sauce reminds me of a really decadent pot roast, only better. You have to give it a try. First thing to do is to get your crock pot out and ready. 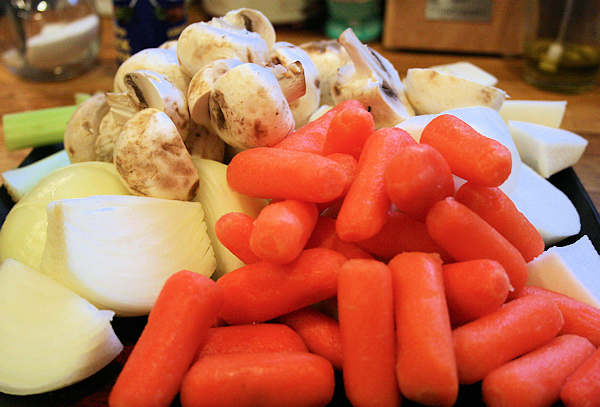 I like to get everything ready ahead of time, so I chopped and prepared all my veggies. 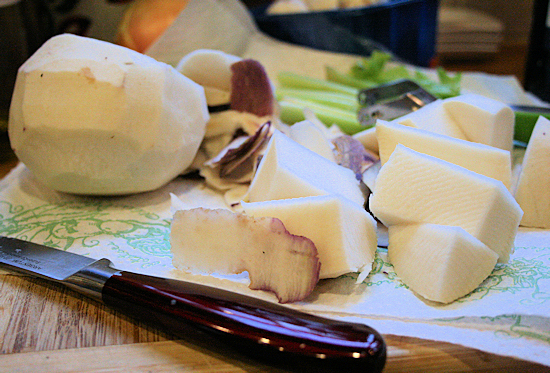 Peel the turnips, wash the mushrooms, quarter the onion, etc…. 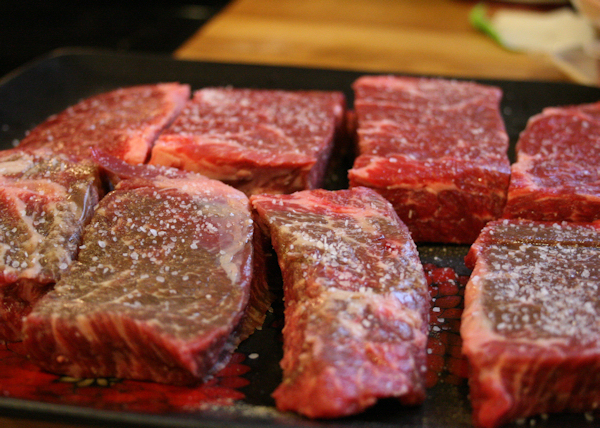 Now it’s time to open those ribs and season with salt and pepper on each side. 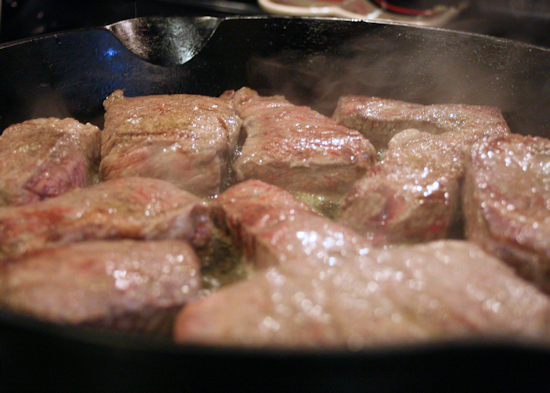 In a large pan, add the olive oil and heat. 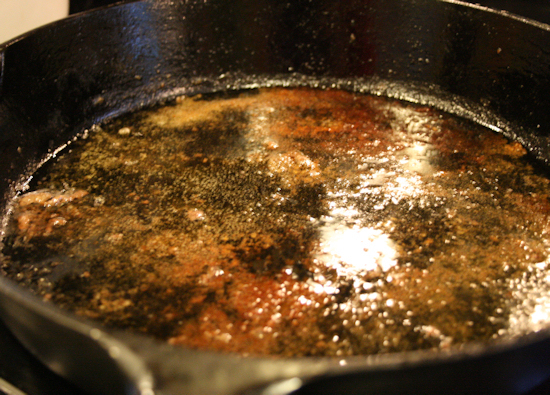 Drop the ribs into the pan and brown on all sides. 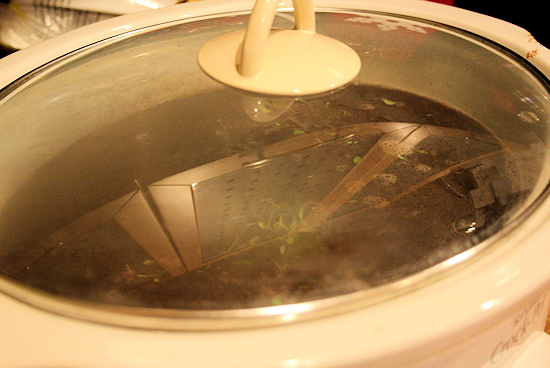 When each of your ribs are nice and brown, take them out and place into the bottom of your crock pot. I did this in about three batches to make sure the ribs had enough time to brown evenly. 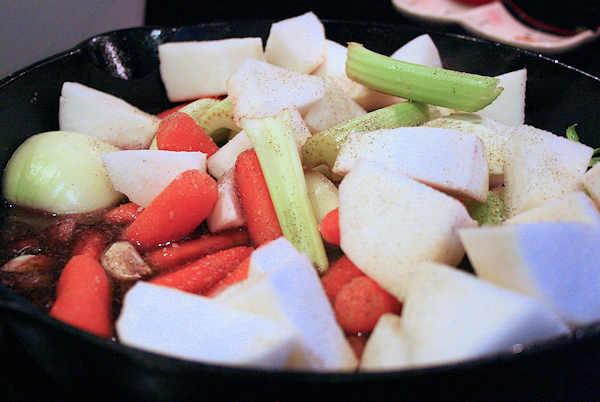 In the same pan you removed the ribs from, add the onions, celery, and carrots to the pan and add a pat of butter to get a pretty brown on them. 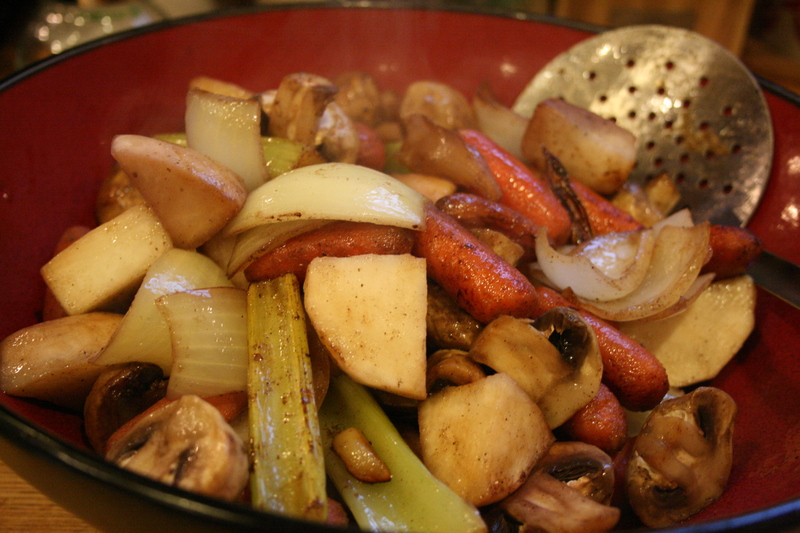 When the veggies have a nice color on them, remove them from the pan and set them aside in a bowl. We will use them later. 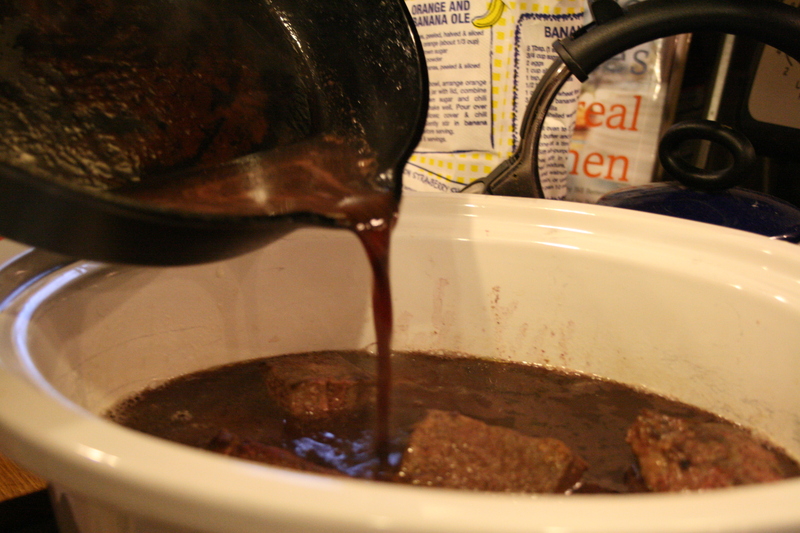 In the same pan, add 2 cups of wine, deglazing the pan and scraping off any of the yummy browned bits from the bottom. 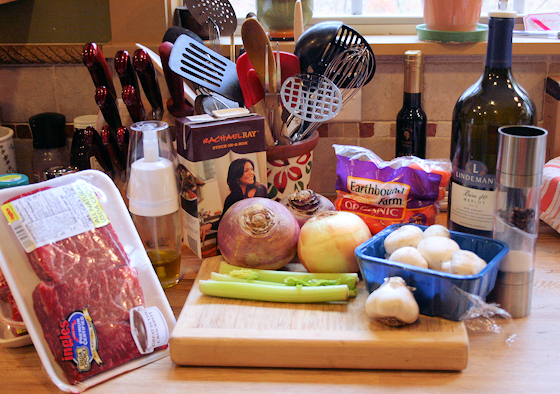 Reduce the wine by about half and and add into the crock pot right over the meat. The next day when you check on your beautiful project, remove from refrigerator and take the excess fat off the top that has solidified. Throw away in the trash (NOT INTO YOUR SINK! Trust me on this. 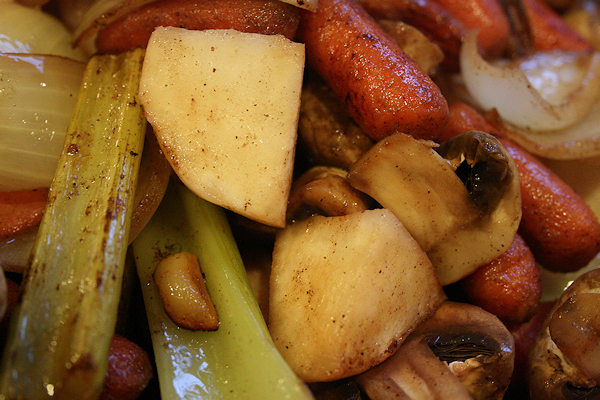 I have been yelled at by the hubby for this transgression) Remove the veggies and set them aside once again. Now this is where the stove top comes into play. 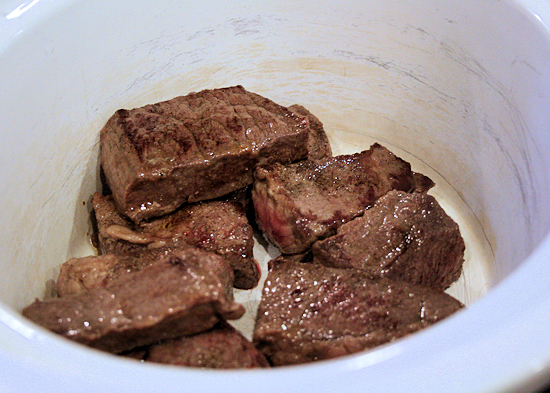 Place the ribs in a nice large quart pot or deep pan. 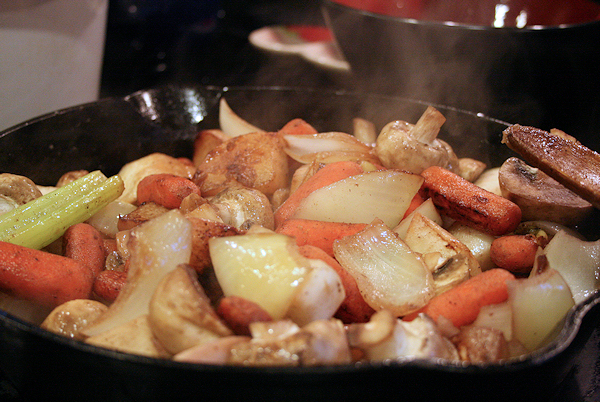 Cast iron is a good example. Cook over a medium heat uncovered. 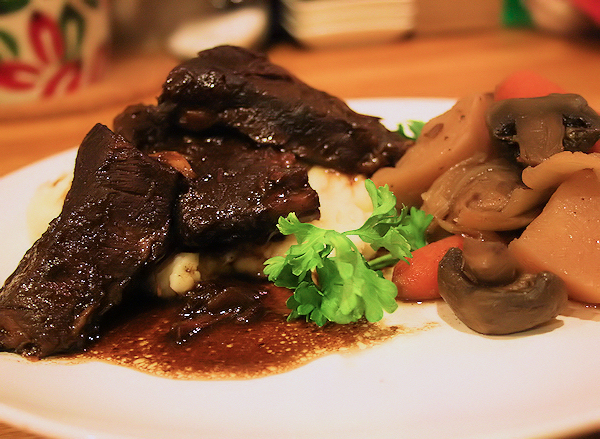 You will braise the meat, occasionally spooning the sauce over the ribs and moving around a bit until the sauce is syrupy and the ribs are a nice brown glaze. See how they are just falling apart in the pan? 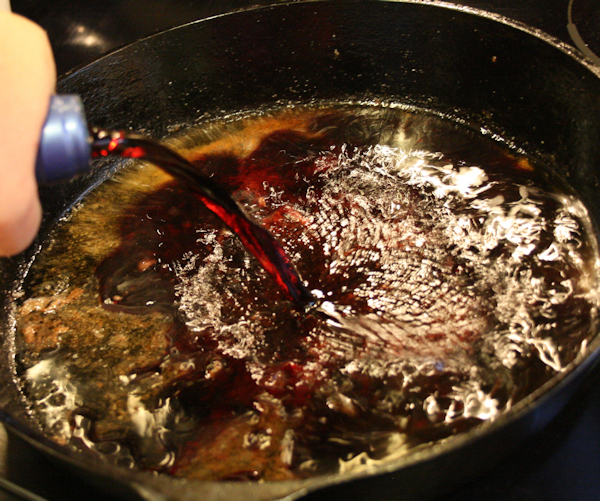 I like to leave a little juice at the bottom to spoon over the potatoes or polenta, which I particularly love. 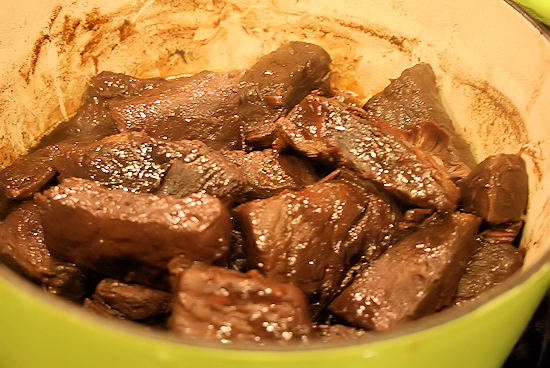 By leaving this little bit of heaven in the bottom, you will also prevent burning the meat. 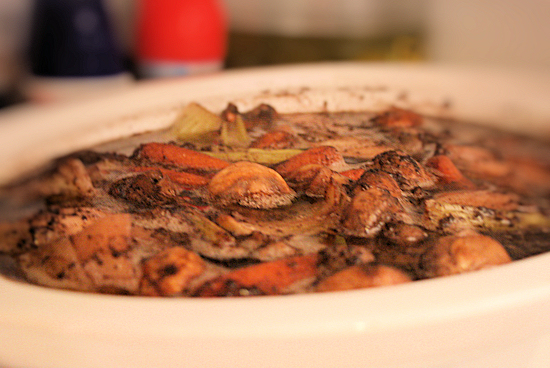 When it has reduced a bit, you can add back in the vegetables to coat them in the glaze. This takes about 30 to 45 minutes and you are done! Serve over mashed potatoes, rice or my favorite, creamy polenta and your beautifully cooked veggies on the side. Once you make this, you will make it over and over. 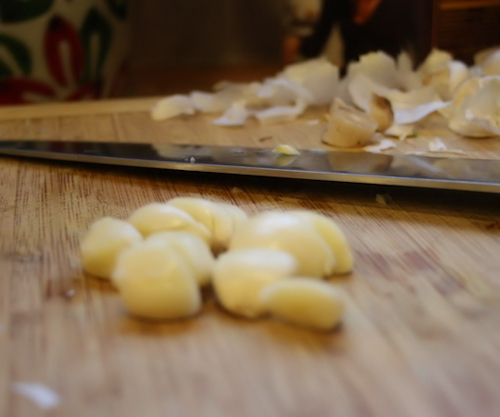 This sauce can work with so many different things. 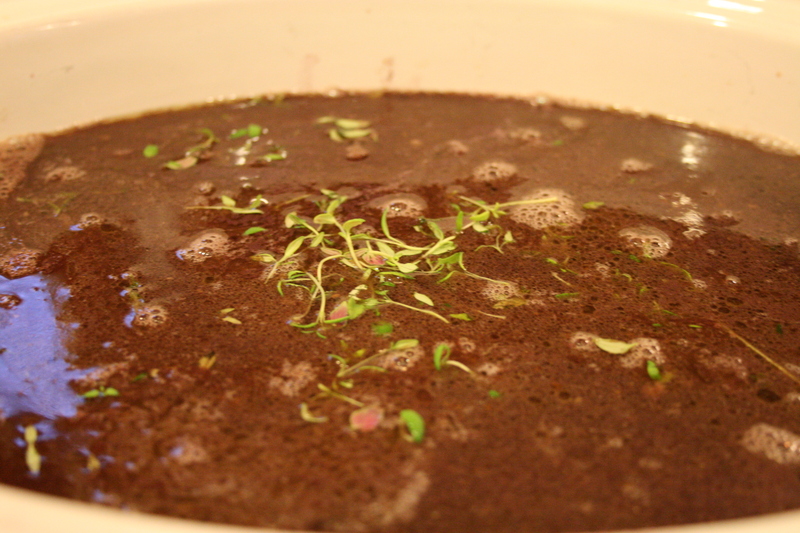 The deep red wine and beef broth flavor really enhance the beef. This was a sure winner.